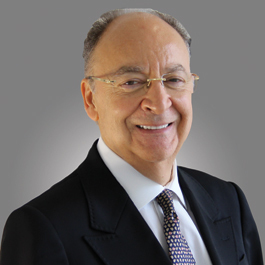 Ray Soudah is the founding partner and chairman of MilleniumAssociates, the independent international M&A and corporate finance advisory firm, based in Switzerland and the UK. Founded in 2000, MilleniumAssociates originally specialised in M&A and advisory services for the global financial services industry, with particular focus on the global wealth and asset management sectors, however more recently the organisation has expanded its M&A service offering to the clients of Private banks as well as corporates and entrepreneurial business owners globally. Ray has extensive multicultural wealth management and private banking/investment banking experience having enjoyed a long and varied career in senior positions with UBS, National Bank of Bahrain, Clearstream, Midland Montagu and Citigroup across in territories as diverse as the US, Asia, Middle East and Europe. Ray is a Harvard Business School & INSEAD Alumnus and speaks English, French, Greek and Japanese.